dance.net - Light purple/pink Highland Vest (10244287) - Read article: Ballet, Jazz, Modern, Hip Hop, Tap, Irish, Disco, Twirling, Cheer: Photos, Chat, Games, Jobs, Events! 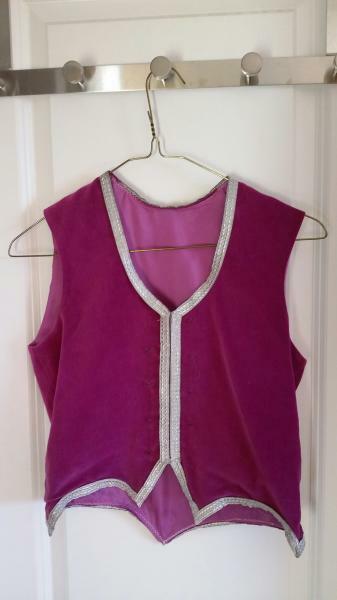 I have for sale a light purple (almost pinky) highland vest (no buttons on vest). Asking $25 CAD plus shipping. Location is Calgary, Canada.